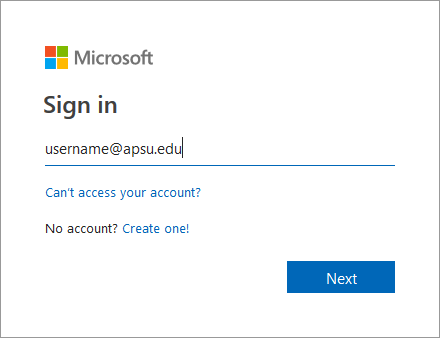 The first time you access your email via the web (https://mail.apsu.edu for employees and https://outlook.office365.com for students), you will see the below screen. Click Next. 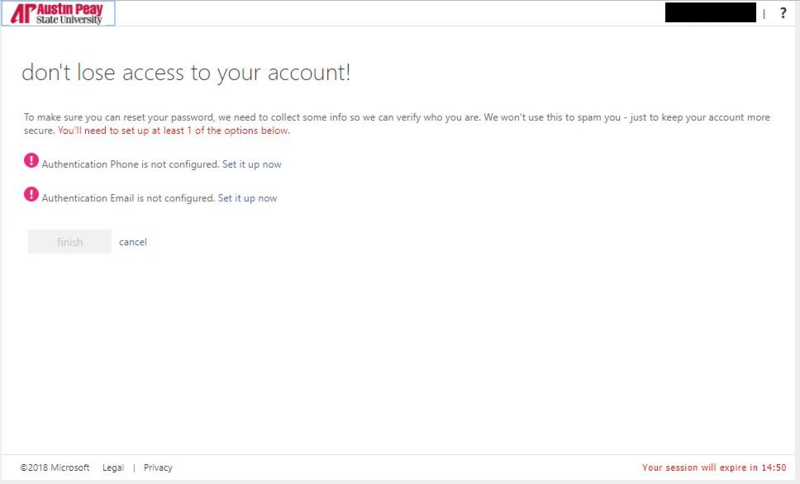 If you do not see the above screen, navigate to https://account.activedirectory.windowsazure.com/PasswordReset/Register.aspx?regref=ssprsetup in any browser. Input your APSU email address and click Next. Input your APSU username and password and click Sign In. There are two options for verification. Set up at least one of the options by clicking Set it up now to the right of each choice. If you chose to set up an authentication phone, choose your country, enter your phone number in the box and choose text me or call me. If you chose text me, a code will be sent to your phone. If you chose call me, you will receive an automated call from Microsoft with the verification code. Enter it in the box and click verify. 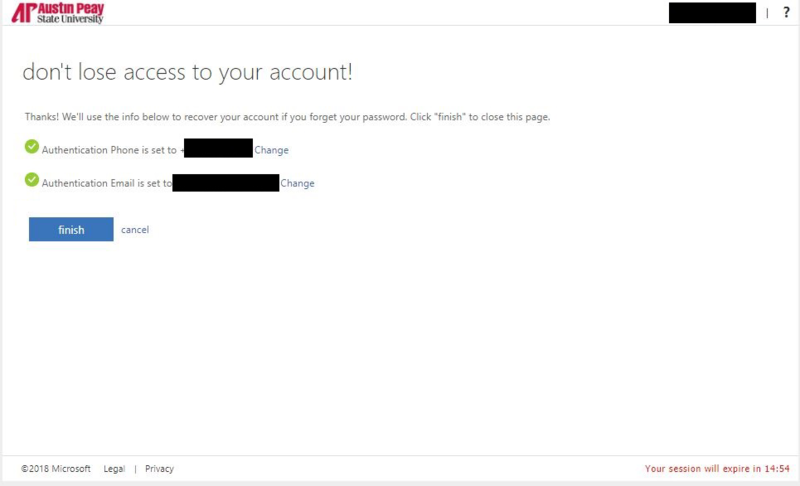 If you chose to have a reset email sent to a personal email, enter it in the Authentication Email box and click email me. Enter the code you receive in the box and click verify. 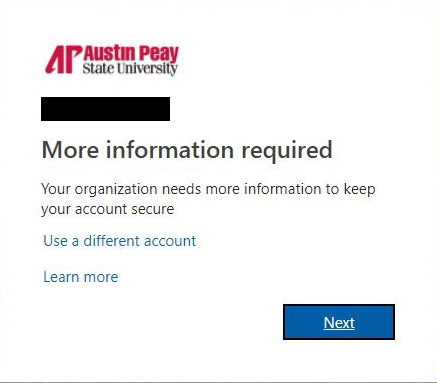 Do not enter your APSU email in this step or you will not be able to receive password reset emails. Once you have configured your recovery settings, click finish.